In your day to day life, preparing your daily agenda and activities for the day will help you achieve your goals in time without missing any vital events. 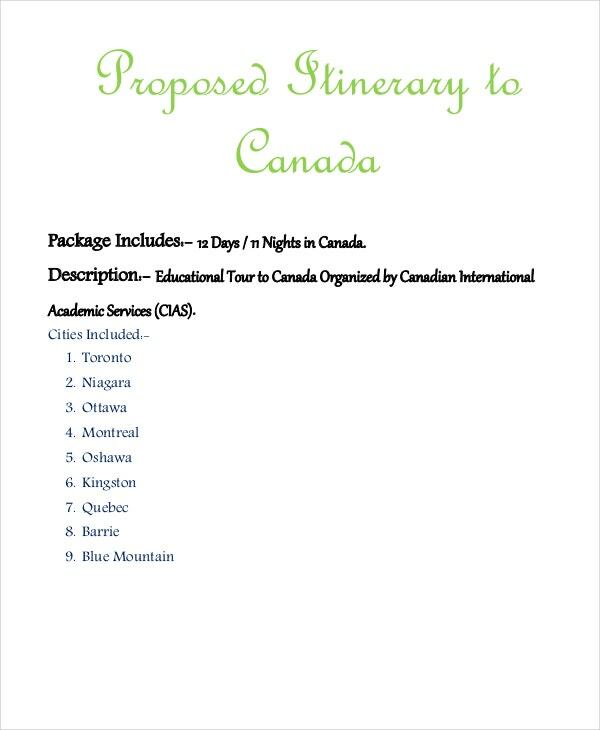 With the assistance of an itinerary template, you can prepare travel plan templates and free itinerary template samples wherein you can have an idea on how to organize your plans and put them all into actions every step of the way. 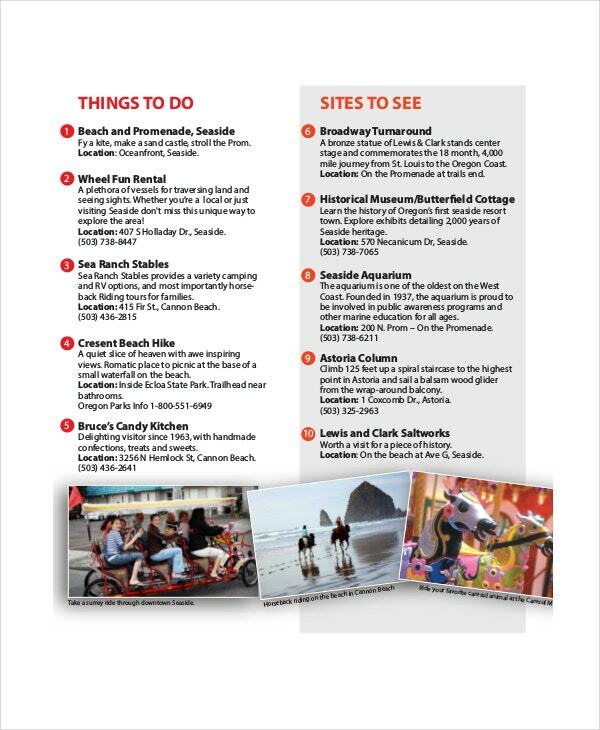 Whether you are having a short time leave or out of town adventure, this vacation itinerary template can keep you in touch with your scheduled destination and activities for your trip. 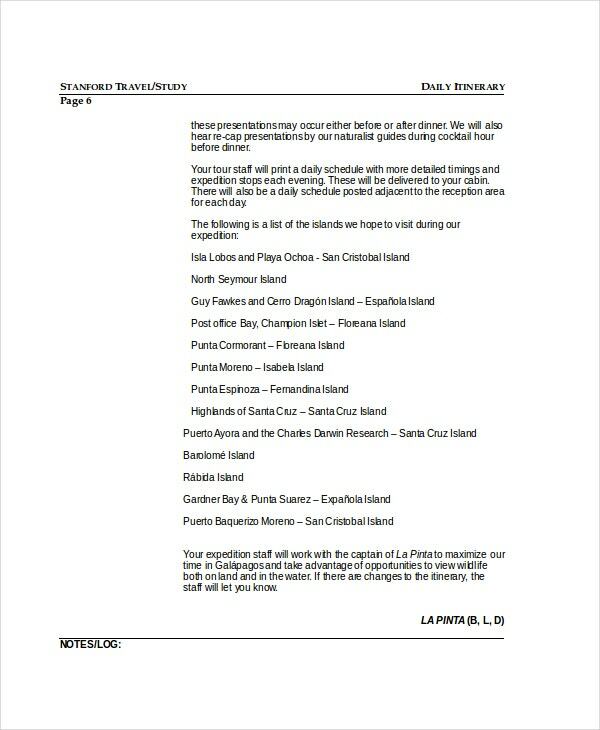 From departure and accommodation to arrival, it’s all here in this note for anyone who plans to travel locally or internationally. 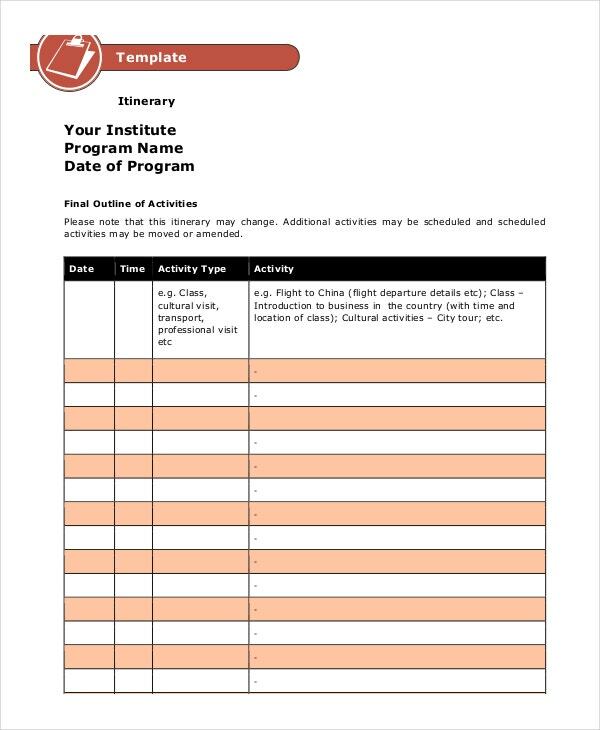 This template has been tailored for a corporate setting job where it accounts the attendance of the employees along with their details for any specified meeting or training within the company. If you are a person who likes to complete a certain task as planned then you must download this template on your computer or smartphone. All your agendas for the day will be clearly listed in this document and it will assure you that the time allotted for them is divided accordingly. 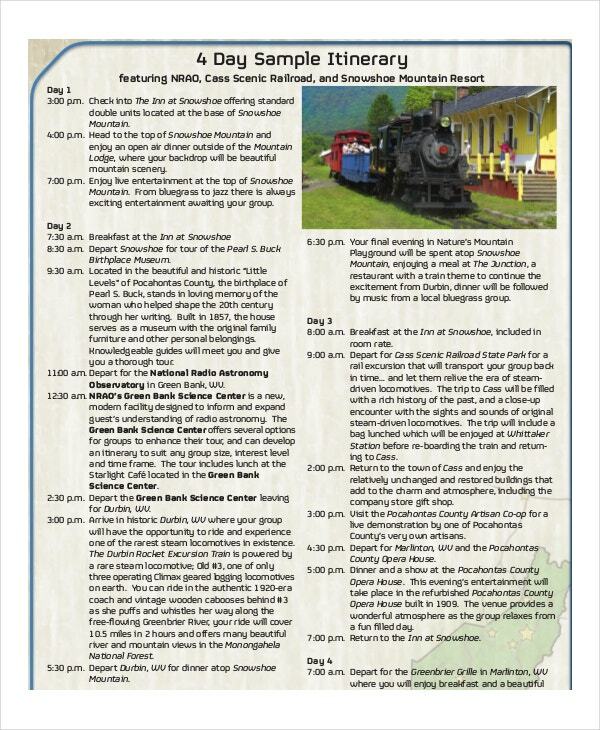 You can also see Trip Itinerary Templates. All employees in their daily duties find it handy as it is composed of tables or bullet format. So you can quickly arrange your activities based on their significance and prioritization with their corresponding details. Also, the format can adapt to the nature or type of work, thus making it multipurpose in any situation. 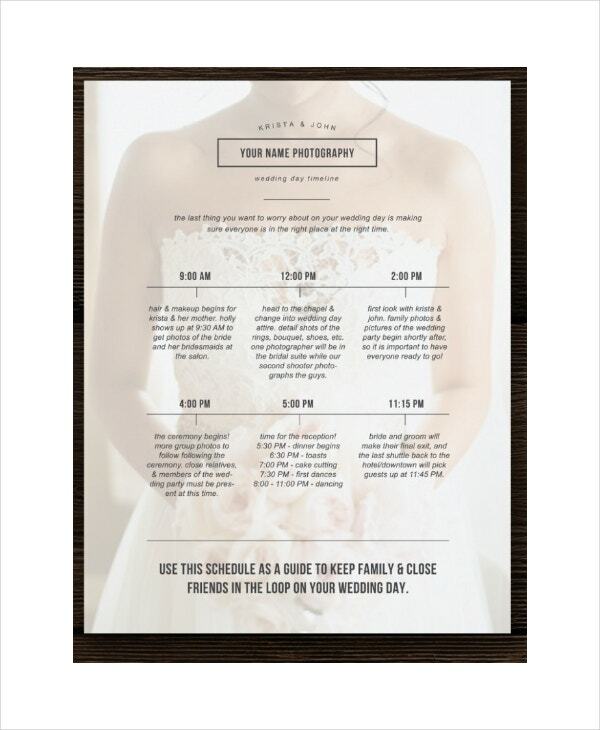 Like an invitation card, the wedding itinerary template delivers a concise detail of any nuptial ceremony; it lists down the activities for the couple’s special day along with the date and time for the guest to follow thru. 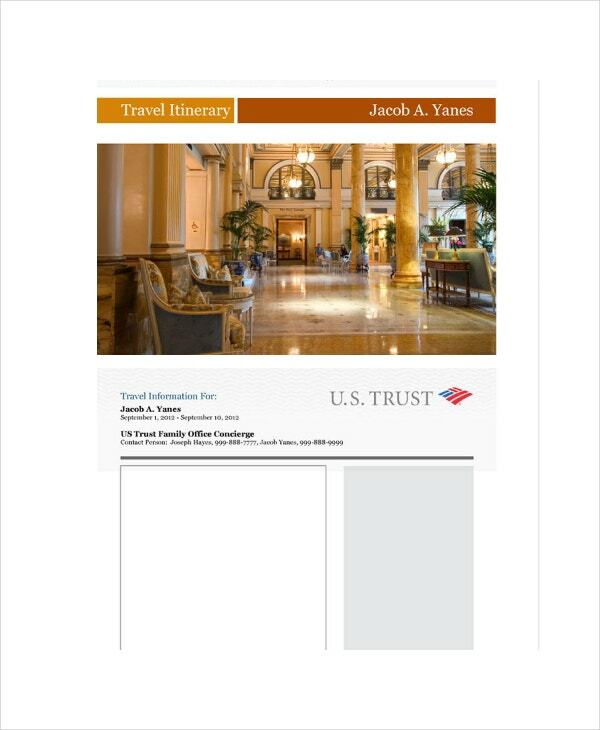 > What are the Benefits of an Itinerary Template? 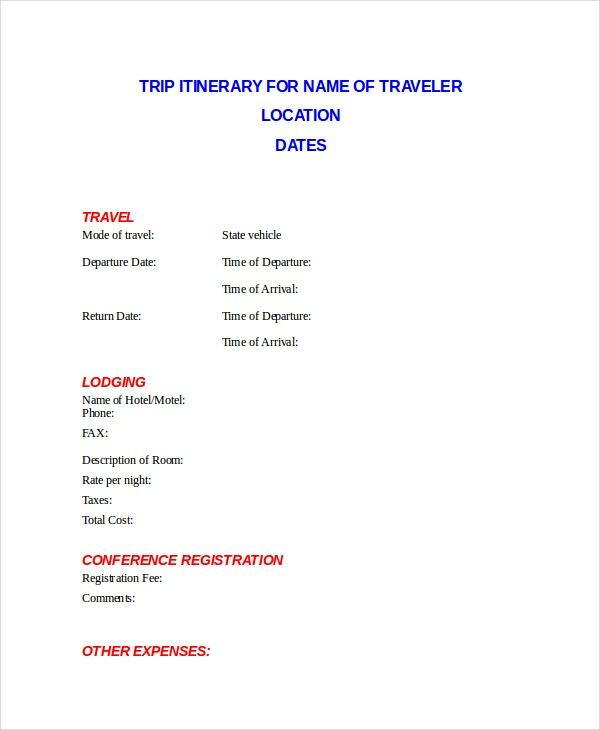 As the name suggest, an itinerary template makes you in charge of planning your daily routines and destinations wherever you are. It can be applied to your work area where it can help you accomplish any deadlines or project completion as given by your superiors. 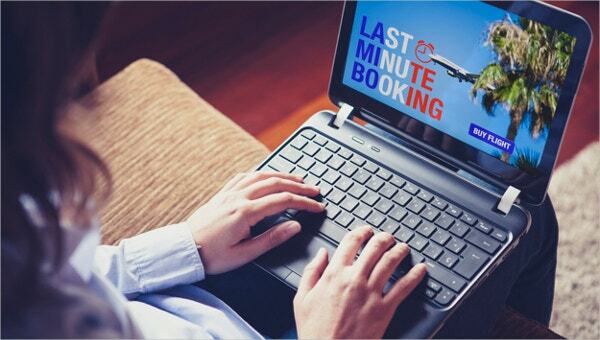 For travelers, it can aid in their allocation of resources and route when they are about to travel abroad. In many instances, it can also be used for special events such as birthdays and weddings where it organizes the flow of ceremonies and important activities expected to happen. 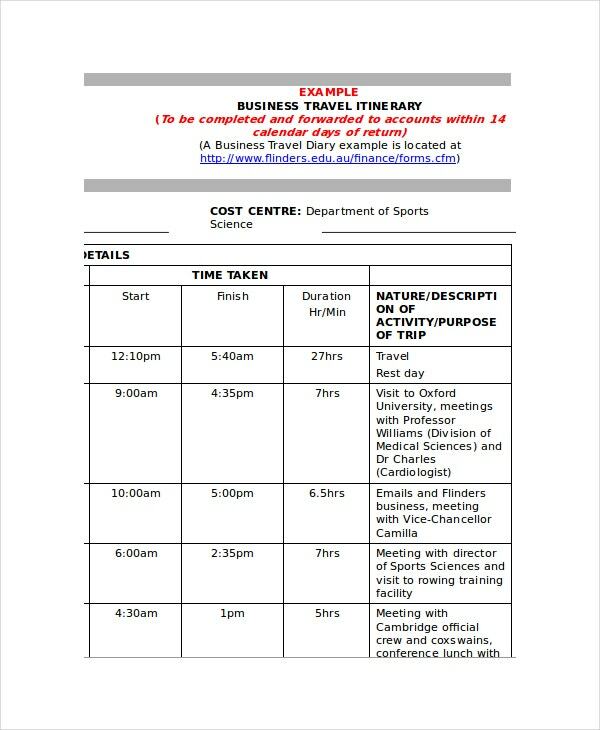 Laying out all your activities in a single file is best to be done on our itinerary template as it will be all available in Microsoft Word or PDF format. The template has been designed to help you plan and set up your events in a concise and precise manner; samples from this template are perfectly made to match any kinds of actions or stuff you are having. So get them now and customize them on your own.